That's a really good question. I don't actually know. Unfortunately, though, my new 2003 set just arrived yesterday so I'm afraid I can't indulge. :( Thanks, though! With them having the projector type light lense inside, I presumed that they may be quite adjustable, but not sure how much movement is in the hosuing. I may have to just mess about and try it myself LOL! 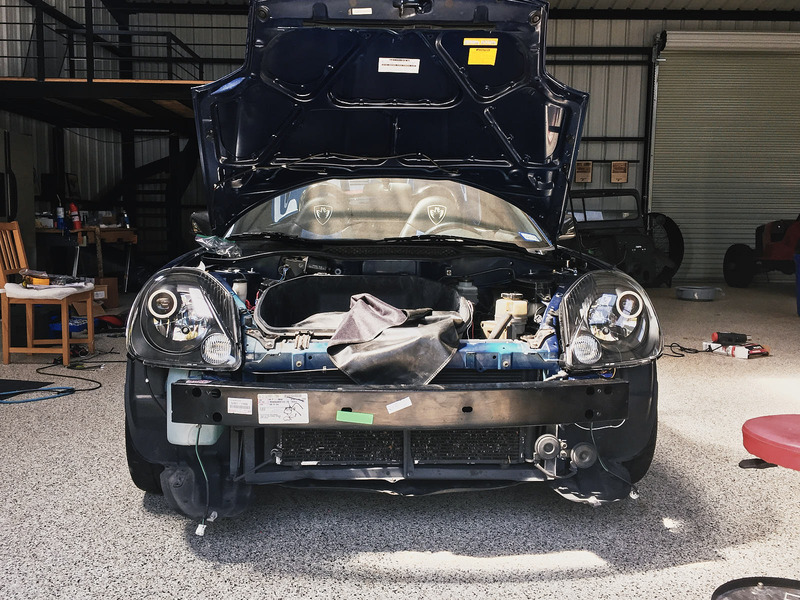 No, you'd have to replace the internals to adapt RHD headlights for LHD roads. Inspired by Rayven14's build thread, I thought I'd provide a short update about my own project instigated by the conversation here on Spyderchat. 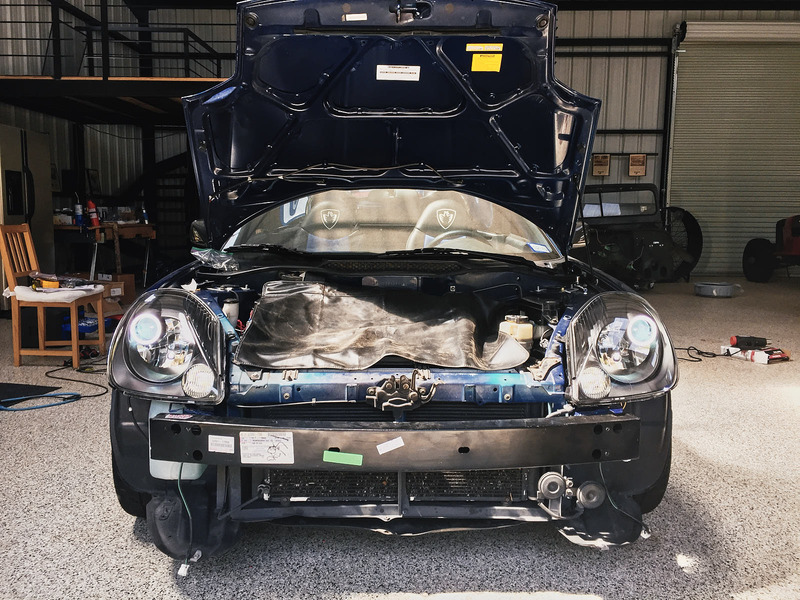 With more gratitude for Haloruler64 than anyone can possibly imagine, I'm posting the final test fit for my headlight upgrade1. For now, though, the test fittings and hookups are complete, and the wiring just needs to be cleaned up, but otherwise this project is done. I am deliriously happy with how this has come out. Aside from the cleanup work and re-assembly of the front bumper, this project is just about done. It took a lot longer to do than I thought (here I am, 4 months after I started asking questions), but man, I am so happy with the outcome. I expect that I should be able to drive this in just a couple of days. 1 I honestly could not have done this without Haloruler64's patience, knowledge and generosity. Seriously, the man is a God among men. Looks fantastic! Just a tiny correction. Projector is a Morimoto Mini H1 7.0. Because it takes H1 HID bulbs. That's right, folks. From initial questions to final product, all on one thread! I'm very happy with how this turned out. Again, special thanks to Haloruler64 for all the wonderful advice and support. Geez, those are clean looking. 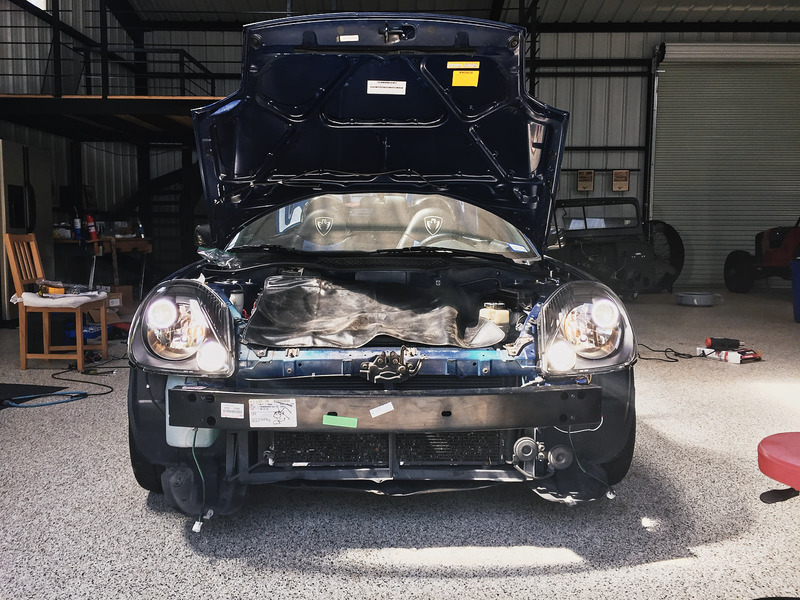 Do you know if the same upgrades can be done on the 03+ headlights? I know for a fact that they can - they are stock 2003 Headlights with the modifications added. 03s are the best ones to modify! Here are mine, a little less fancy. I agree, you should leave the pre 03s alone otherwise it ruins the classic look of sports cars from the past. 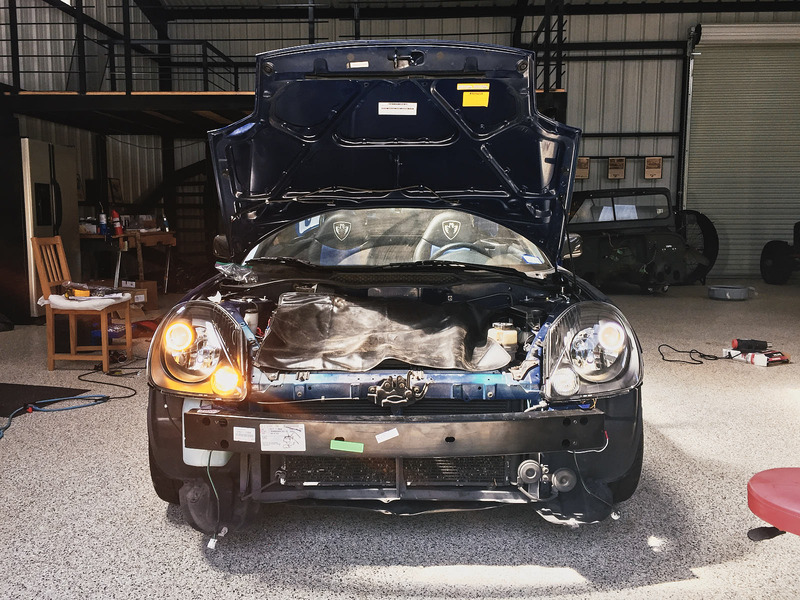 Here is their website link in case you are interested in getting a custom headlights done right by a company. 1. 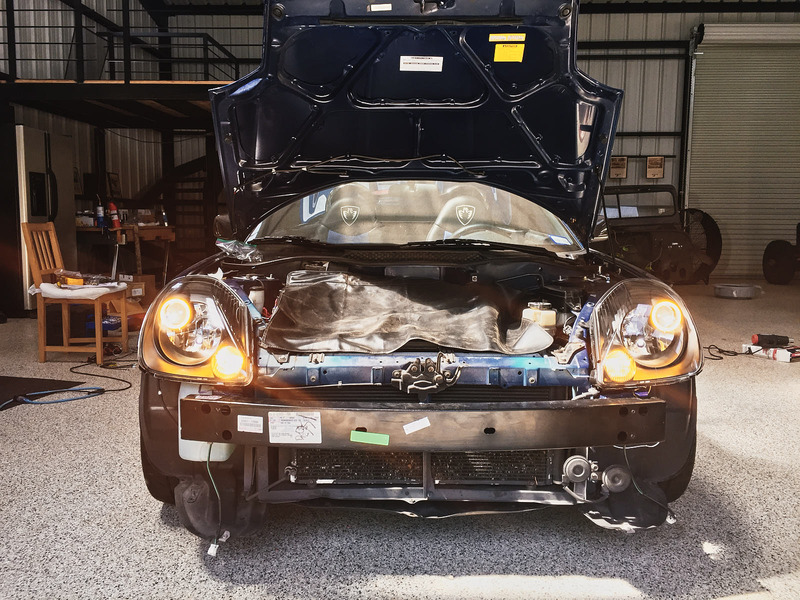 "They use OEM lamps/parts." First off, OEM lamps is all we have. Second, what OEM parts do they use? The projectors, halos and such, are ALL aftermarket. 2. Some user on the Facebook Spyderchat group had a bad experience with them. Poor workmanship, or scratches or something. It shouldn't define the company, one experience, but I'd stay away. 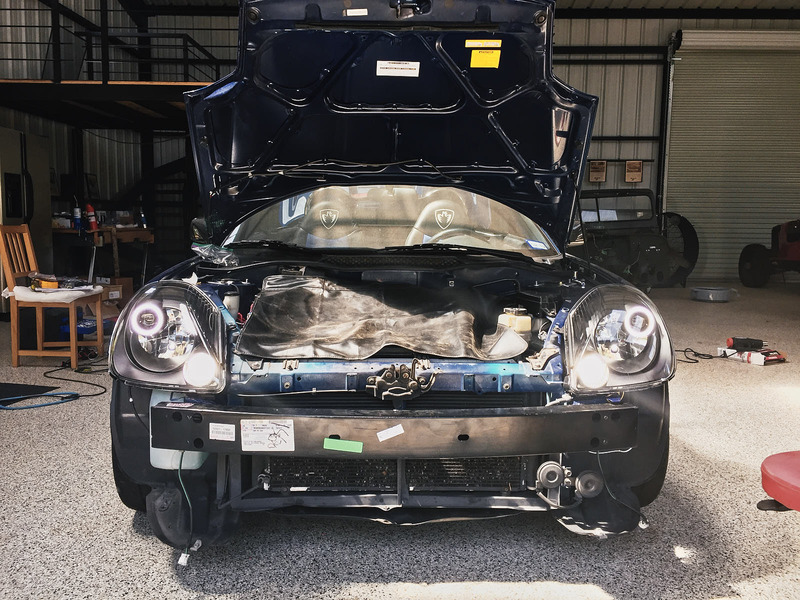 I’m working on a retrofit, using aftermarket 05 eclipse headlights and a plastic welder. Headlights were 80$. Just takes time, the plug is the same. Ambitious! The main key there is to make sure they're aimed properly. 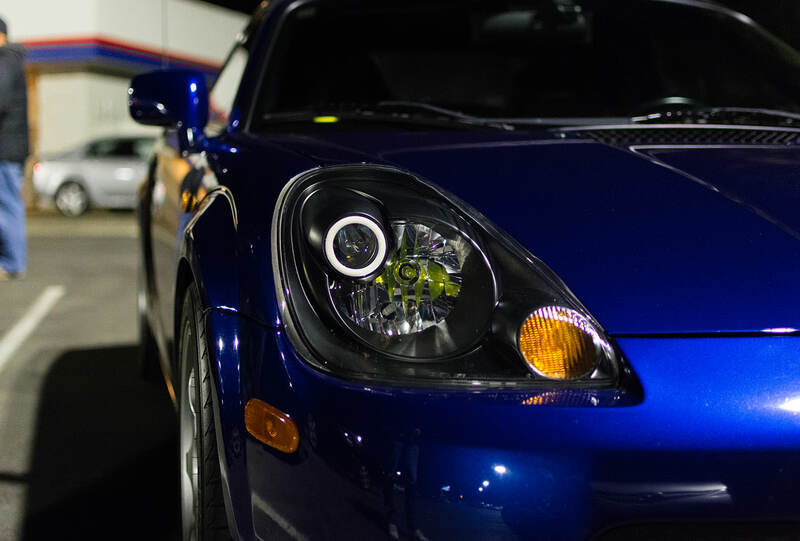 Like remember that racing MR2 with the Celica headlights? The headlights are at a completely different angle from a stock Celica would be useless on the road. Initialy I was going to use the celica headlight but the eclipse is more similar to the shape and direction of the spyder. I’ve tried my best to align the housing, I guess I’ll have to see when It’s done. +1 on the aiming. I made the mistake of accidentally driving the first night with skewed angles and boy did I regret it. (I was so excited that I simply forgot to double-check). Forgot about this thread but damn, you guys put in some real work here. drjmetz - Your execution turned out pretty damn good. I'm not the biggest fan of switchbacks or halos, but yours looks pro. 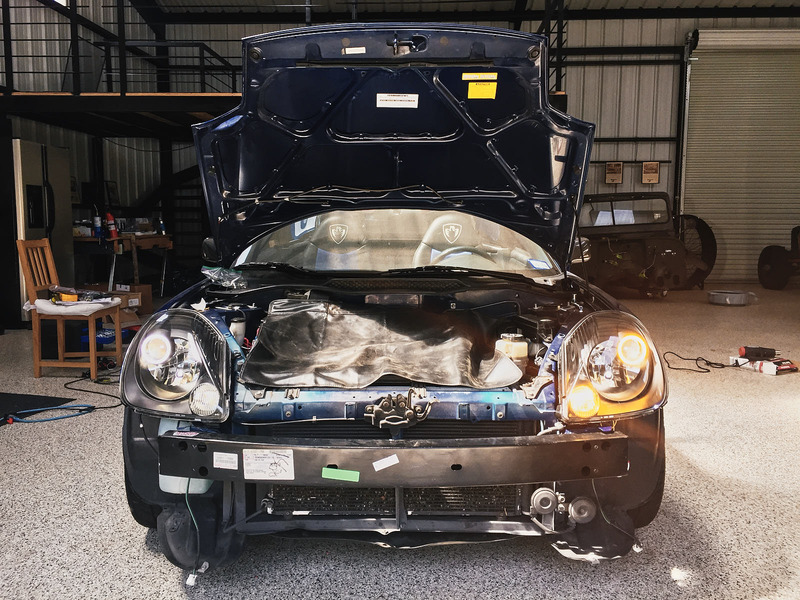 Did you ever take your headlight housing covers to get treated? My car sits outside, and that is the one thing I wish I spent more time on (would've gotten it done by a pro). Andrei2cool2 - How are you aiming these things? I originally wanted to do something similar, but realized I would need some sort of rig (off the car) to "balance" them OR some sort of adjustment system to align them once there were on the car. Both options were beyond the scope of my experience. I've only retrofitted 3 times in my life. Short answer, lots and lots of trial and error. IN the picture it’s just the front housing piece, I melt the plastic rear housing and take it apart as many times as it takes until I get it at the right position and angle. Hard to explain but basically lots and lots of trial and error. Retro's are hard work, and few people want to admit the anxious effort that it takes to get them perfect. If I could do it again - I'd build a wooden rig that mimics the beam position of the housings from the ground projected to a wall. I had no problem with rotation (D2S with Apollo shrouds) but tilt and pan are were damn near impossible from a circular cutout. Some sort of X/Y axis would have helped. I look forward to the result.